We believe transparency is vital to building trust and healthy relationships with our donors and the community we serve. Below is a financial overview providing a quick glance at a few key areas. 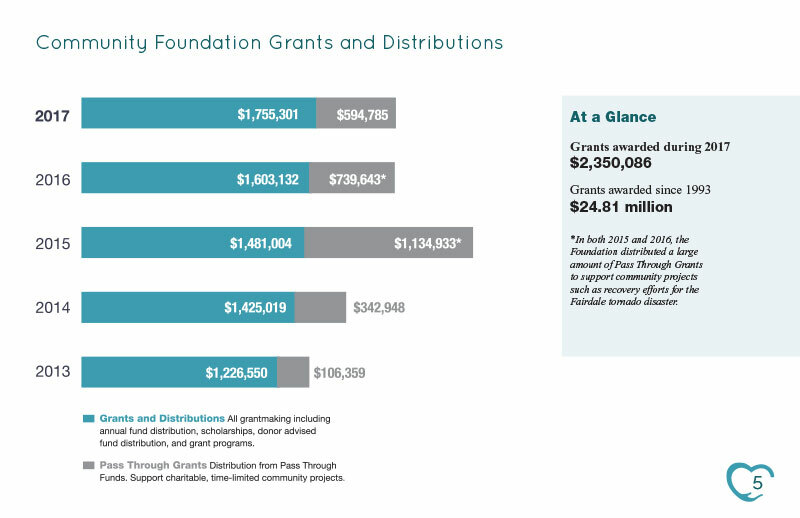 For a more in depth look at the financial data, mission, and services of your Community Foundation, be sure to check out the 2017 Annual Report. 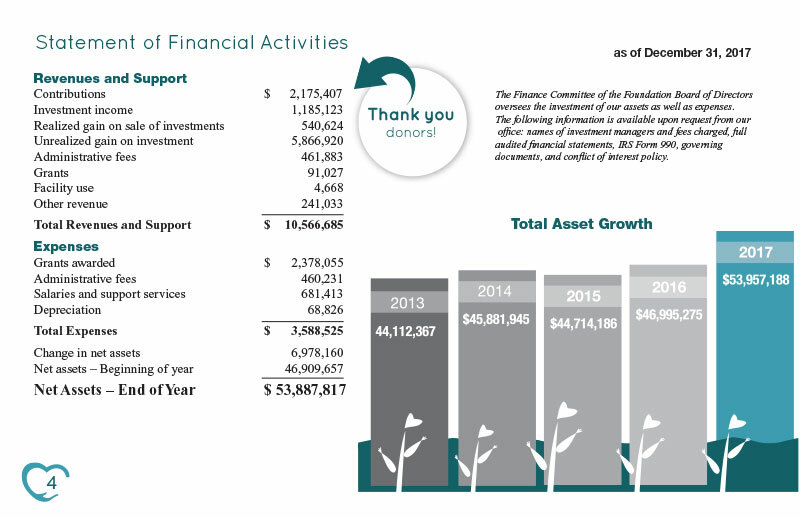 The Finance Committee of the Foundation Board of Directors oversees the investment of our assets as well as expenses. The following information is available upon request from our office: names of investment managers and fees charged, full audited financial statements, IRS Form 990, governing documents, and conflict of interest policy. Please contact us with any questions.